The non-rotating precision is high ad deflection of the end of piston rod is low, which is suitable for precise guide. It adopts lengthening type sliding supporting guide. No additional lubricant is needed and it has good performance of guide. Mounting holes on three sides facilitates multi-position mounting. It has good resistance to bending and twisting moments. Except for the axial, each side of the cylinder has installation orifices to provide several installation and fixation ways for the customers. There are two groups of air intake and outlet at two sides of the cylinder for the actual selection. Bumper in front of the barrel can adjust the stroke of cylinder and relieve impact. Standard configuration of this series has magnet and the type without magnet is not available. 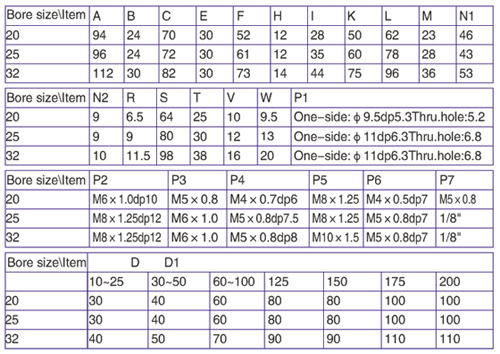 ②NPT and G threads are available. Plus, TR series are all with magnet. Note: Please contact us for specifications, details and other types of these cylinders. ①TR series are all with magnet. ②When thread is M5, leave blank. 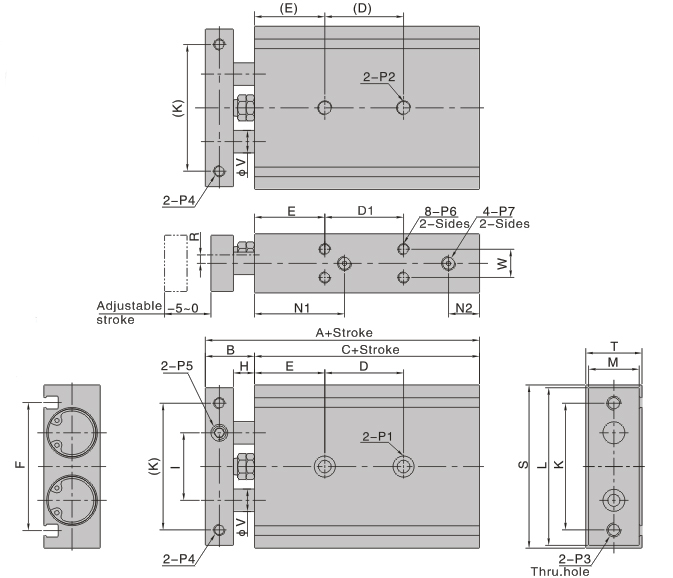 When load changes in the work, the cylinder with abundant output capacity shall be selected. Relative cylinder with high temperature resistance or corrosion resistance shall be chosen under the condition of high temperature or corrosion. Necessary protection measure shall be taken i n the environment with higher humidity, much dust or water drops, oil dust and welding dregs. Dirty substances in the pipe must be eliminated before cylinder is connected with pipeline to prevent the entrance of particles into the cylinder. The medium used by cylinder shall be filtered to 40µ m or below. 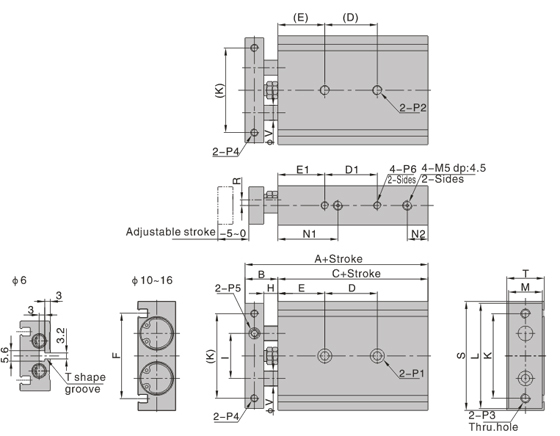 As both the front cover and piston are short, too large stroke can not be selected. Anti-freezing measure shall be adopted under low temperature environment to prevent moisture freezing. The cylinder shall avoid redial load in operation to maintain the normal and extend service life. If the cylinder is dismantled and stored for a long time, please conduct anti-rust treatment to the surface. Anti-dust cap shall be inserted into the inlet and outlet ports. As the precision of the manufacture and guide is high, please do not dismantle the fixed block or cylinder cover.